Fashion Fix: Summer Sorted, With Tesco! If you haven't popped into your nearest clothes carrying Tesco's of late, you are in for a rare treat. This summer's collection of swim and beach wear is one of the store's best yet. 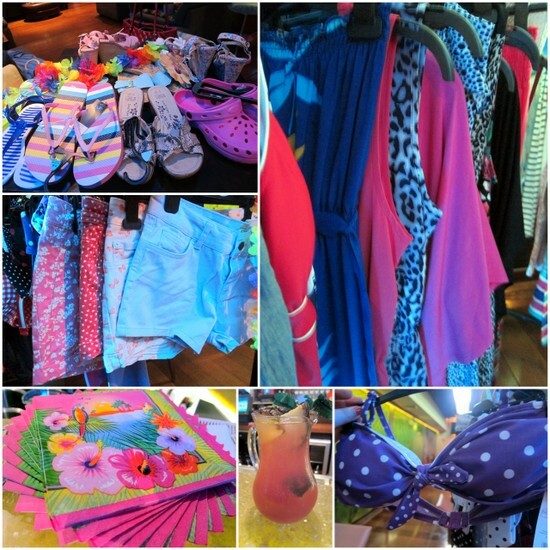 Holidays are covered with a wide selection of sarongs, kaftans and sundresses on offer. I really liked the maxis, which come in a variety of colours and prints in the €10 - €25 range. Cute little cut-off shorts, €11.50, and piles of colourful sandals and flip flops, from just €3, are also on offer. The lighting wasn't conducive to photography so the pics above are just a little teaser - head to your nearest store for a closer look. Not sure where it might be? Find out at www.tesco.ie. Looks great, love all the colour! I was really impressed with Tesco summer collection, bought few blouses already! The maxis look great - shame there's only a miserable tesco express near me though! These prices sound rather reasonable! Too bad we don't have tesco in the US. The shorts look so adorable- I'm already eyeing up the red polka dot ones! Looking forward to getting into Tesco when I arrive back home, for the food AND clothes!